It’s a testament to both performers that the audience warm to the pair of them so readily. Adam, all nervous energy and cocksure charm, both challenges and intrigues Harriet, while her positivity and indefatigability wears down his wariness too. Together they set out to overcome Adam’s unemployment, relationship issues and self-doubt, each as invested in the outcome as the other. There’s much to relate to in Adam’s behaviour for anyone who’s ever been a teenager: narcissistic and conceited one minute, anguished and overcome the next. At what point we medicate for this, and indeed how best to ‘treat’ it at all, is the question at the heart of Burnett’s subtly probing piece. This play tries to define the moment when ordinary human emotions become something to be labelled – and treated. And there’s much to admire. It is testament to Royal Court and Chichester Festival Theatre Young Writers Programmes graduate Joseph Wilde’s writing that Dog Country continues to linger in my mind a theatre-filled week after the event. It is not just the compelling narrative of the piece but its execution that makes the play a stand-out. In Dog Country, Mike and Trish meet by chance after some ten years. They have been differently damaged by experiences from their past, which are revealed in a non–linear narrative with their younger selves, played by different actors. The effect is of two stories running alongside each other rather than one account interspersed by flashbacks. A further consequence is that the storyline keeps moving forward even when going back in time. It makes for a very absorbing watch. Mark Leipacher directs an excellent cast in this captivating play by Joseph Wilde. I shall be looking out for his future work. 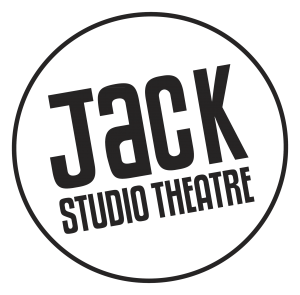 The Jack is to be applauded for the high standard of writing that emerges from its Write Now initiative, and this year especially for its compilation of plays which would struggle to be more varied in their approach to leadership. The most thought-provoking and immediately relevant of the collection is Footprints by Joe and Joe which grasped the homogenisation of messages in a media-led personality obsessed political landscape… More evidence that nice things come in small packages.